Cream the butter and sugar until pale and fluffy, before adding the egg. Sieve gluten-free flour and cocoa powder together before gradually adding into the butter, sugar and egg mix until a soft dough is formed. As the flour is gluten-free the dough will not need to be rested in the fridge. Press the dough onto the base and sides of the tart or flan case to form a crust. Bake in the oven at 180°c for 12 minutes until golden, then leave to cool. Whisk the egg yolk and sugar together until the mixture becomes light and fluffy and doubles in size. Bring the milk and cream to the boil in a pan. Take off the heat and add the egg yolk and sugar mixture. Put the pan back on a low heat and stir constantly until the mixture comes to 84°c (or coats the back of a spoon). Remove from the heat and add the milk chocolate. Place gelatine in cold water, once soft squeeze out any excess water and add the gelatine sheets to your chocolate mixture. Stir until the gelatine has dissolved and the chocolate has melted. Pour the pave mixture into the cooled chocolate base and place in the fridge to set for a couple of hours or overnight. Peel and dice the pears. In a pan bring water, lemon juice, sugar and star anise to a simmer. Add the chopped pears to the pan and simmer until pears are cooked. Use this compote to accompany the milk chocolate pave. 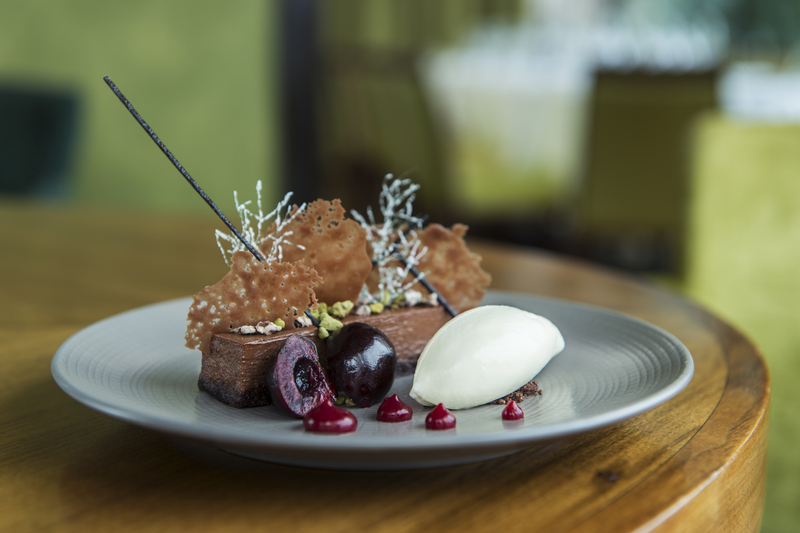 In the restaurant we serve this dessert with a barley malt ice cream. As barley malt can be difficult to find in your local supermarket, we would suggest adding crushed Maltesers to garnish the top of your pave as it has a similar flavour and adds a pleasant crunch. 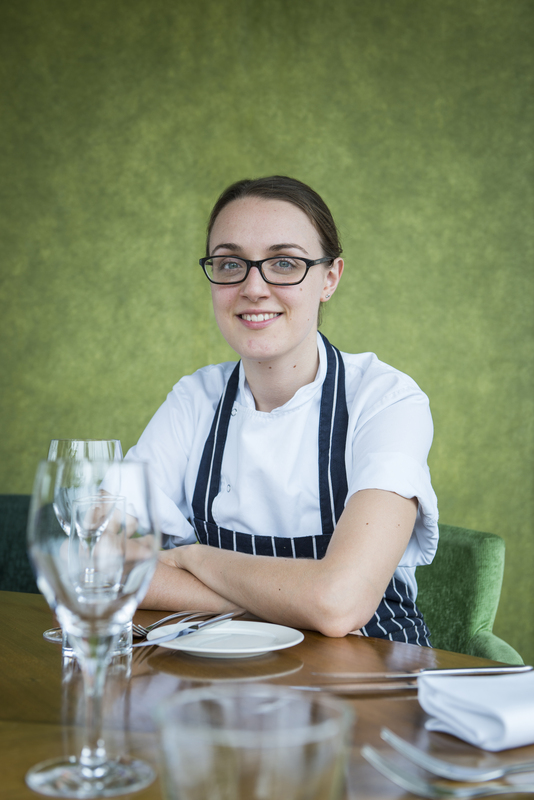 Having held positions at The Ledbury and Cinnamon Square, Kate joined the Babylon family in April 2014 and since then her desserts have delighted guests. Kate sees that desserts should be eaten as a whole and that flavours are more fundamental to a dessert than its presentation. She is always trying out new recipes at home and is truly passionate about what she does. The Club Member Offer – Members receive 15% reduction from the total food bill when dining for lunch Monday to Friday in parties of up to 5 guests. Click here for booking details and more information. The Luxury Restaurant Guide is best way to discover and book the finest restaurants in the UK. Let us inspire your booking choices with our comprehensive and visual list of all award-winning restaurants from Michelin, AA and Sunday Times Top 100 to the best new openings. Go to www.luxuryrestaurantguide.com to find out more.